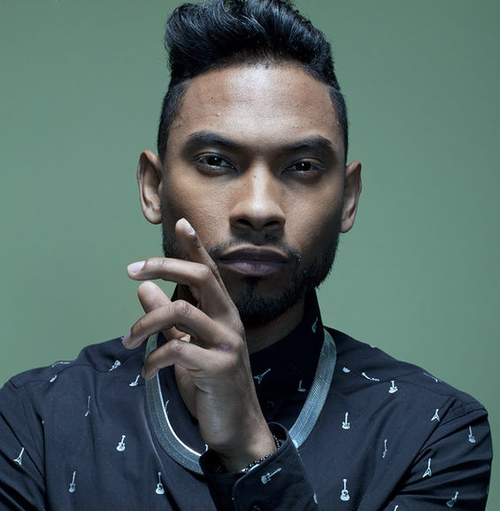 RAW HOLLYWOOD : MIGUEL RELEASES HEARTFELT TRACK TITLED "HOW MANY"
MIGUEL RELEASES HEARTFELT TRACK TITLED "HOW MANY"
Within these last couple of days, there has been so much chaos going on, on top of innocent lives that have been taken. Celebrities are starting to use their platform to pen letters and songs to the victims involved in these tragedies. They are also using the platform to express their feelings (yes they have them, I know some people tend to forget that celebs are human) in general toward the injustice that continues to happen to black people. Like Miguel says in the song, "Brothers and sisters its time, to wake up. Brothers and sisters its time to say something, do something, wake up!" Those are some true words, we have to stand up for what is right and not just post to social media, but actually do something. Be the change that you want to see. According to the singer, the song is not complete as of yet and he will update it as he finishes. He posted to his Soundcloud page that this was just something that he was working on late night in his hotel room. Take a listen to the song below and really feel it!